A 1979 Vespa 100 Sport review and walkaround video because it’s time to sell my ’79 Vespa, but before I let her go, I had to show you guys some of the really cool and unique features this 1970s Vespa has that today’s modern Vespas don’t. This motorcycle was build during an golden era when Vespa, as a brand, was thriving. Sometimes newer is better, but some of the old way of doing things was pretty cool and I wouldn’t mind bringing it back. 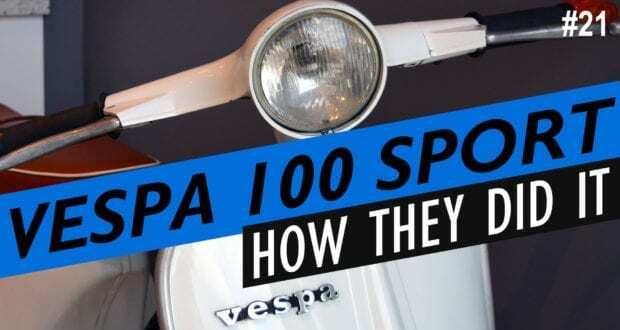 If you want some insight into what Vespas were like in the late 1970s, or if you specifically want to learn about the 1979 Vespa 100 Sport, check out this video review. Closing thoughts on who should (and should not) buy this bike, in case you happen to see a 1979 Vespa Sport 100 for sale. 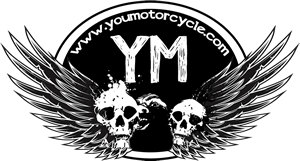 For more motorcycle and scooter videos, check out our YouTube channel, it’s now 21 episodes in! COMMENTS: Would you ever consider a 1979 Vespa as a daily driver? Too old, or just fine? When my scooter group went riding in the 60’s you could tell the Vespa riders because even when going straight, they were leaning a little to one side to offset the weight of that side mounted engine. I chose to go high tech with a Japanese motor scooter called the Rabbit. Also 150 cc, it had a center mounted engine, but it’s big claim to fame was that it had a gas float gauge, though you had to lift the seat to see it. Still had to hand mix the oil and gas though. It was straining mightily to hit 55 mph, but it got me started in motorcycling.